When I was growing up every Sunday morning my father would either make an omelet or pancakes. My favorite was always the pancakes. He’d use our trusty box of Bisquick, add a few spices, fruit or chocolate to make each round of pancakes unique. As an adult, I carry on the tradition. I use my Bisquick and make pancakes, biscuits and dumplings. It’s never let me down. As you all know, I enjoy finding ways to make something homemade that’s cheaper and easier than the store bought option. I was thrilled when I found a homemade Bisquick mix. It was so much cheaper than the store bought box I was shocked I’d never made it before. My only problem – every one of these mixes uses shortening. Shortening is a chemically created lard that is one molecule away from plastic. It’s popularly used in baking and icing because it holds its structure in high temperatures. If you still think shortening isn’t a problem, the next time you’re baking cookies put a thin layer of shortening on your pan. When you’re cleaning your pan, you’ll notice that the composition of the shortening never changes. It doesn’t melt. It just stays there and glistens. When you’re trying to keep your cookies fluffy, it makes sense, but I really don’t want something like that in my body. It’s a personal choice at the end of the day. 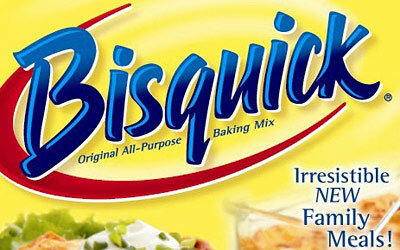 Any how, for a year I have gone without my beloved Bisquick. 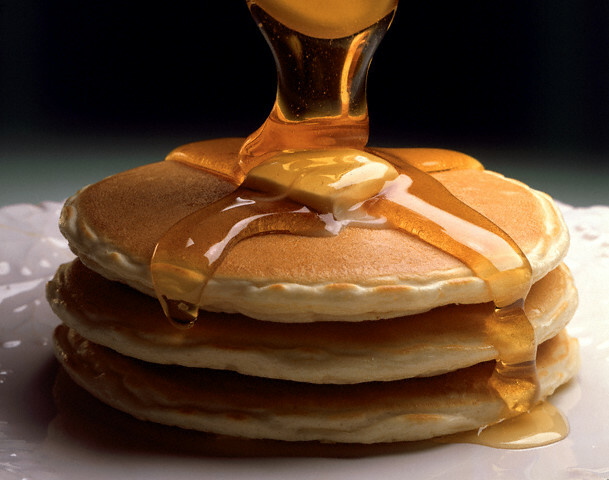 I’ve tried butter based pancake recipes and they couldn’t hold a candle to the original. I tried the Heart Healthy Bisquick that doesn’t have any shortening, but the flavor isn’t right. I was about to give up when I found the perfect recipe thanks to Kitchen Simplicity. It’s very similar the to popular shortening based Bisquick mixes, but it’s made with butter. I made some pancakes yesterday and it was delicious! No more guilty feelings and more pancakes in our household. It’s definitely a big win! Place all dry ingredients in a food processor. Slice the butter into pieces and add to the mixture. Pulse food processor until butter is pea sized. Do not over process. Store in an airtight container for 6 weeks or keep in the freezer.